I have to admit – I always thought saddle bags were lame. They wrecked the look of my Look (hah!) and were just Not-Pro. And even when I did an Etape du Tour, I didn’t take one. And then, I moved from Melbourne to the Ballina-Byron hinterland in northern NSW. My training in Melbourne was almost always on generally flat roads, past lots of service stations where I could fill my solitary water bottle up. I always kept my spares in a container in my second bottle cage. It was usually cold or mild and rarely humid. However after moving, I’d often do 40km or so without passing anywhere where I could get water. Hell, the service stations in NSW even seem to have disabled all their water outlets near the petrol bowsers. This necessitated carrying 2 water bottles especially considering in summer it is almost always somewhere between 28-36C degrees on the road, with 80% humidity. 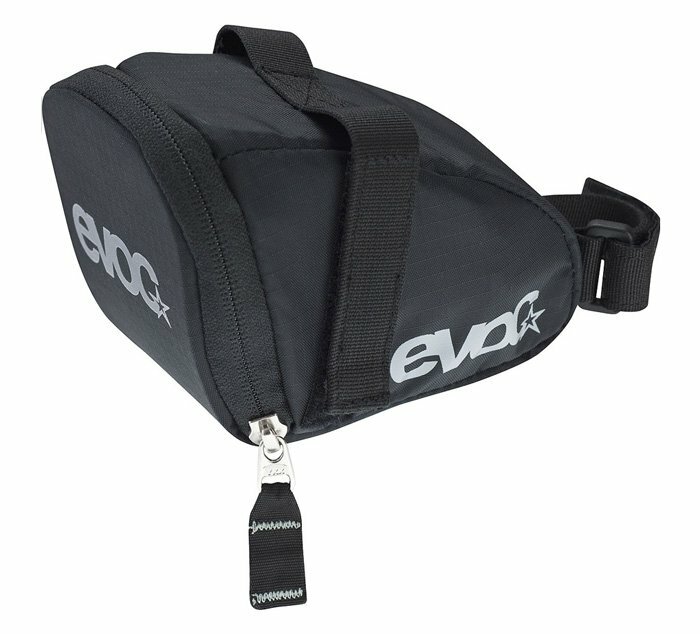 I recently had the opportunity to review one of a few saddle bags courtesy of Chain Reaction Cycles, and given my excellent experiences with the EVOC Bike Travel Bag (check out my EVOC Bike Travel Bag review), I opted for the EVOC Saddle Bag (over a Fizik saddle bag amongst others). 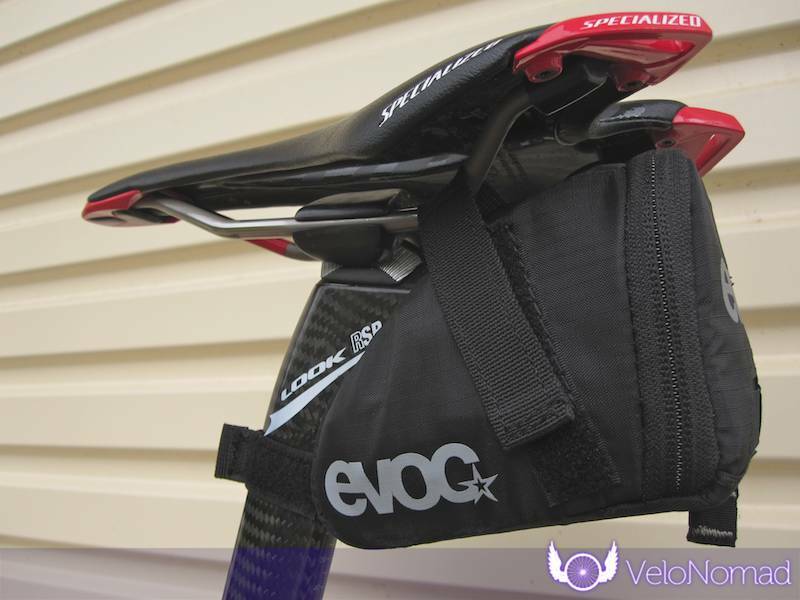 The EVOC saddle bag is bigger – much bigger – than my old Specialized one; it’s about 30% bigger. It’s probably a touch big for shorter rides (see the images below, it is fairly big). It’s very, very well made. The zip is robust and opens easily (this is an oft-overlooked detail – use good zippers please bike companies!). The material is lightweight but tough. There is a little hook for a rear light. This is German engineering, at its finest, brought to bear on a saddle bag. Having used this saddle bag for a few weeks, here’s what I’ve noticed. It easily – easily – accommodates all the stuff you’ll need on long rides – 2 tubes, 2 canisters, tool (check out my favourite tool – a Crank Bros Multi Mini 17) and levers. It sits under your seat and gets out of the way – this is a hallmark of great design. The design gets out of the way of the function. The seatpost velcro strap does not rub against the inside of your thighs. The attachment is via three velcro straps. What I like about the design is that it uses two independent straps to attach to the saddle rails. Some bags use a common looped strap and if that comes undone, the bag can come off, or be left dangling by the seat post strap. This way, if one comes undone, there are still two straps holding the bag. I cannot find fault with this saddle bag. This saddle bag is perfect for training but more importantly is perfect for Etape du Tour. The Etape is often a long, hot, tiring proposition (see my Etape reports: 2009, 2010, 2011). 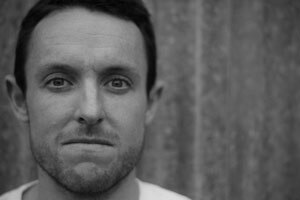 The last thing you want is a bunch of spares in your jersey pockets amongst all the other things you need to pack for Etape. You want your jersey pockets clear for food, a camera, phone and other miscellaneous debris. This saddlebag is only AUD$18 so is outstanding value. Do check one out if you’re in the market for a saddle bag for training, long rides, Etape du Tour or any other long sportif. 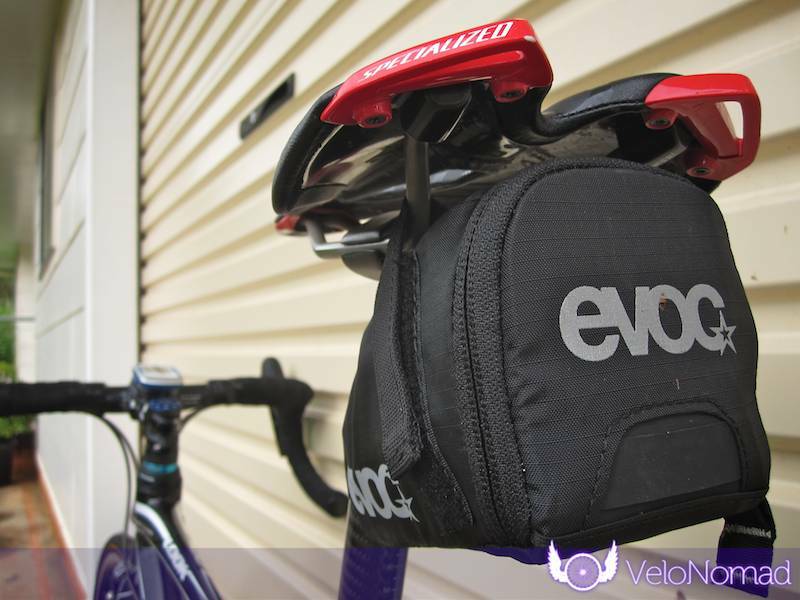 You can get the EVOC Saddle Bag from Chain Reaction Cycles.